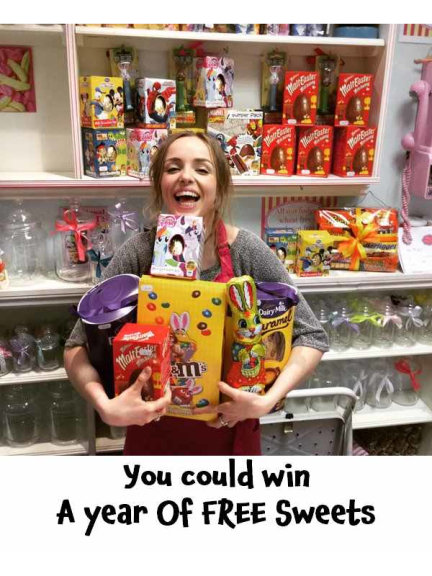 Hatty’s Sweet Shop in The Ashley Centre is offering one lucky person a year’s worth of free sweets in their Golden Ticket prize draw! The Golden Ticket prize draw runs from Wednesday 18 January until Sunday 30 April 2017. Tickets can be found in lucky bags, hampers and other goods marked with a golden ticket sticker. One winner will receive a years worth of sweets (100gm of sweets per week over a one year period starting from 1May 2017 to be collected in person each week). 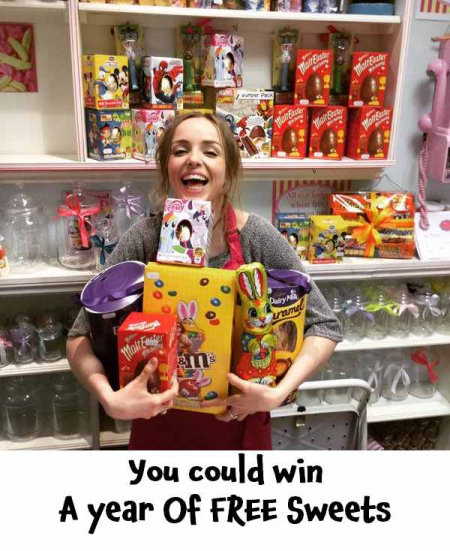 Completed tickets should be placed in the Golden Ticket prize draw box inside Hattys Sweet Shop before 3pm on 30 April 2017 when the winning ticket will be chosen at random. All spot prizes must be collected in person before 3pm on Sunday 30 April 2017 and please ensure all tickets are then placed in the Golden Ticket prize draw box to be in with a chance of being awarded the star prize. Pictured: Hatty’s Sweet Shop owner Harriette Coleman preparing for the Easter!